Luxurious refinement is at the heart of every Audi vehicle. Never has this been truer than with the 2018 Audi A6. Audi’s midsize luxury sedan is a testament to German engineering. With a surprisingly high fuel economy, plush interior and no expense spared on standard and available technology, the 2018 Audi A6 is your next four-door. For 2018, the A6 receives standard keyless entry and push-button start as well as Audi’s incredible and advanced MMI® infotainment system. 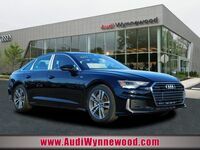 Audi knows people like to enjoy driving, so the 2018 Audi A6 is available with a V6 engine, and the competition package – providing red brake calipers, 20” alloy wheels, Quattro differential, S Sport seats, paddle shifters and more. Looking for the full track package? The S6 variant offers up to 450-horsepower in Audi’s brilliant A6 body. Shop our entire Audi A6 inventory now! Test-drive a 2018 Audi A6 near Philadelphia today! Exhilaration is the name of the game with the 2018 Audi A6. The efficient, yet thrilling, base engine delivers 252-horsepower and 273 lb-ft. of torque. An available V6 delivers 340-horsepower, making acceleration a dream. Performance enthusiasts will love the S6 model that delivers an Autobahn-worthy 450-horsepower. The Audi A6 doesn’t cut corners on safety. 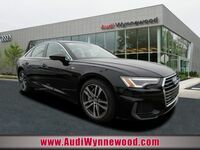 Available quattro® all-wheel drive, eight standard airbags and Audi Electronic Stability Control (ESC) deliver unprecedented peace-of-mind in a luxury, performance sedan. Technology is at its peak in the 2018 Audi A6. MMI® infotainment system allows you to use motions and gestures to control your media. The inclusion of Apple CarPlay® and Android Auto compatibility means you’ll never have to settle for a half-hearted application in place of the native ones you’re used to using every day on your smartphone. Beyond gesture control, you’ll be able to make a call, change radio stations or search local places with the MMI® touch interface, the perfect counterpart for the instrument panel Google Earth™ display. Gone are the days of having to look to the center of your vehicle for information on where to exit, or when your next turn is. That information is now kept in a natural position – by your speedometer. Audi Connect® makes your 2018 Audi A6 the smartest car on the road. Not only does it deliver an available wi-fi hotspot, but it provides real time parking information – allowing you to navigate to garages only with available parking spaces. It also provides up to the minute fuel prices, news updates, local weather and more. The 2018 Audi A6 sits at the point where luxury, technology and performance meet. You have to experience this thrilling combination for yourself. Contact us today to schedule a test-drive. Click here for more 2018 Audi A6 information!